It is not an exaggeration to say that a wireless presentation system is a game changer when it comes to doing a presentation. No matter if you need to do a presentation for work to show what your idea or if you are a teacher trying to show the class something cool. A wireless presentation system can help you get your point across and also make your presentation not only a million better, but also very easy to deliver. 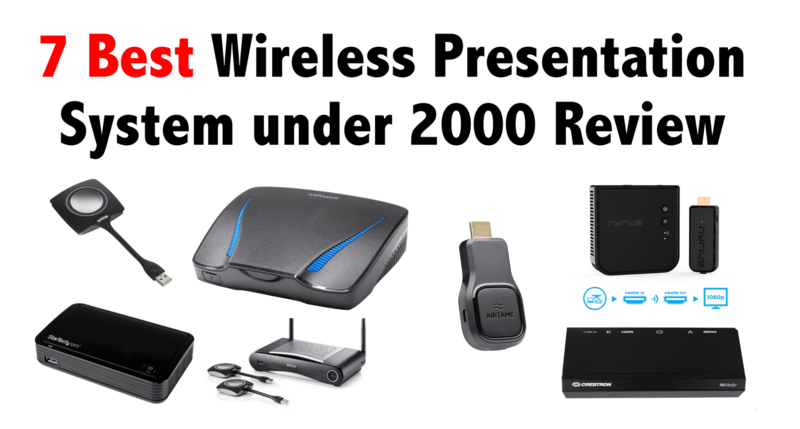 I am looking at some of the best wireless presentation systems on the market right now. So if you are thinking that one of these could be just what you need for your next meeting, your class or even just to mess around with. Look down below and see what I and others think of some of the best models. One thing I want to stress is that on one hand many of these wireless presentation systems are very similar to what they offer. However, you need to look at inputs, how far can they transmit their signal? How many devices can be connected at a time? Before you buy one, realize what you need it to do and then check that the one you are looking at can actually do it! Here are some of the most popular models of wireless presentation system that are on the market right now. These are at all ends of the pricing spectrum so no matter what your budget is or what your needs are I am sure there will be one here that is ideal for you. Look I know that your eyes are going straight to that 11 hundred bucks price tag, but there is a major reason as to why this is one of the most popular models for businesses. Without a doubt the MAIN-61771 Barco CSE-200 | Small Medium Size Meeting Room Wireless Presentation System is one of (if not THE) best wireless presentation system around. With this device, you can have 16 different computers, phones, tablets or whatever connected to it at a time. This makes giving a group presentation much easier and it allows everyone to not only watch but take part too. What I really like about this is who they give you two different receivers with it. This means that you can beam your awesome presentation to two different screens at the same time. If you use the first USB port, you can even broadcast in full HD! This is great, but I do feel that the whole device should be full HD. In all honesty, I do not think this will be an issue for most people. There are no device drivers needed at all, you just plug it all in and it is ready to go. The ease of use means that anyone in your office, school or wherever you plan to use this will be able to use it very easily. I had a look around to see what the word on this was and it is very positive. One YouTuber called Upgrade has a great review of the unit where he breaks it all down and tells you not only why it is good but also gives you tips on how to get the best out of it. Even when you look on Amazon, most of the reviews are glowing positive with many people talking about how easy this thing is to use. The MAIN-61771 Barco CSE-200 | Small Medium Size Meeting Room Wireless Presentation System is truly fantastic. I know that the asking price is rather high, but you are getting a lot of bang for your buck. I feel this is the perfect wireless presentation system if you have a business and actually do a lot of presentations. It is well made, reliable and will make doing presentations very easy. This may seem like a rather strange thing to include on this list, but given the Barco unit, we just talked about I thought that this was well worth taking a closer look at. This is priced at a couple of hundred bucks so, in all honesty, it is only worth purchasing if you already have a good receiver. 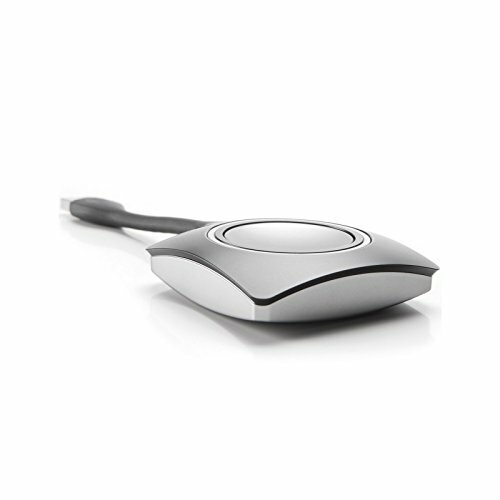 If you do have a receiver then picking up a Barco ClickShare Button Switch, Gray could be just what you need to give your presentations the extra kick that they need. Barco has designed this to be as easy to use as possible. You simply plug it into your laptop or whatever device you are using and then it can beam your presentation to your AV setup without any hassle at all. It literally takes the click of a button to get it to work so it is perfect if you are not too technically minded. I had a really good look at all of the Amazon Reviews for the Barco ClickShare Button Switch, Gray and they were all very positive. The reviews do not go into too much details, but people are straight to the point and just say that it works well and it does what it is supposed to do. I know that this only worth buying if you already have a good receiver, however, f you already have a decent presentation system, but need to give it that extra kick. This can allow another computer or device to be connected to it so it can come in very handy. Plus the fact it is so easy to use means that everyone in the office could use it. At a little under 600 bucks, I feel that the Wepresent WICS-2100 Collaborative Wireless Presentation Gateway is well worth taking a closer look at. I really like the design of this one and it has a very sturdy and high quality feel to it. At the same time, the design is nice and compact so you do not have to worry about this thing sticking out like a sore thumb or getting in the way. In my research, I have realized that this is actually one of the more popular wireless presentation systems on the market right now and it seems to be very big with people who do a lot of work in conference rooms. Now using this is nice and easy and it uses wireless technology. This does mean that you will need to use something that can make use of Chromecast or if you are using an Apple device like an iPad or an iMac you will need to use their Airflow service to beam your presentation to the device. It is very easy to do and the fact that it is fully wireless means that you do not have to have wires all over the place. If you are using a laptop it could be able to connect wirelessly to it. Worst case scenario would be that you would have to buy a Chromecast adapter. To be honest with you most laptops made in the last decade will have a wireless connectivity that will work with this. If you really want to find out just how cool this thing is and how you can get the best out of it then I suggest you check out this Barco YouTube Channel. It really does show just how good this thing is and why so many people who purchase it are very happy with the results. 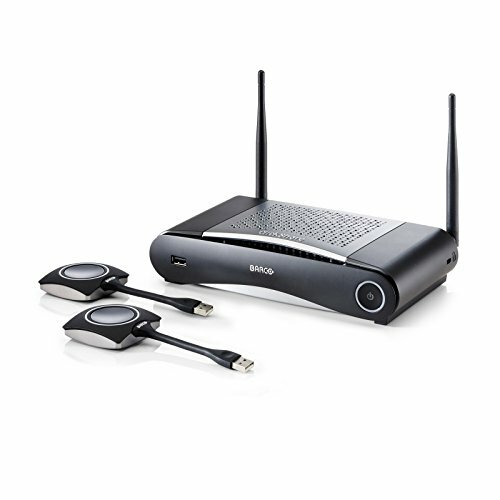 I would say that the Wepresent WICS-2100 Collaborative Wireless Presentation Gateway is a fantastic device and if you want your wireless presentation system to in fact to be fully wireless it is perfect for you. I think it would be great not just in a corporate type environment, but also in places like schools and hospitals. When you read the product description for the StarTech.com Wireless Presentation System it can be hard to get your head around what exactly this thing can do! In all honesty, StarTech has a great product here and one that can make showing off a presentation or even doing some group work a million times easier and more efficient. Now you will need a TV or a monitor that can accept a wireless signal to use this, but it is harder to find a TV that does not have this than one that does. You connect your computer to this and then you beam your presentation to the TV or monitor. Multiple computers can be connected at the same time and with one person acting as a moderator, different displays can be showcased as they are needed. This is a really handy feature and great for those who do group presentations. At the same time, it would be great for a school or college where students are working together. It does also allow you to connect devices like Android tablets and smartphones, but there is no iOS support. It does work with Macs, but not things like iPads. Also at a little over 100 bucks, the asking price is a steal. Just be warned the quality of the feed is only as good as the Wi-Fi you are using! For this one, I went straight to Amazon and I was very impressed with what people were saying. “The set-up is non-existent. You simply plug it in and turn it on. My friends and I were able to show our screens immediately after installing the software. 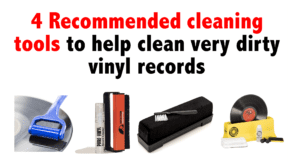 This is a very good product” is what one review had to say and I think that the people who got this and figured out exactly what it could do were very happy with it. 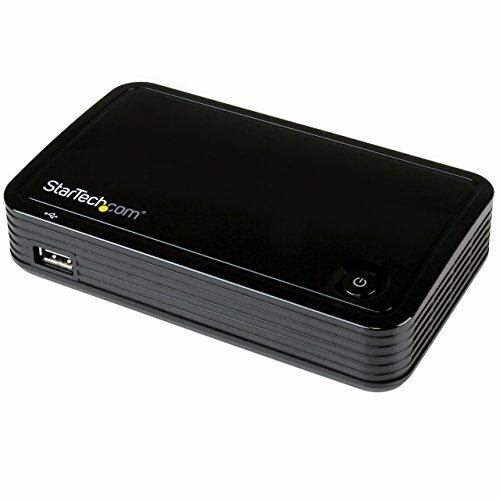 I know that the near 100 bucks asking price may make you think that the StarTech.com Wireless Presentation System is going to be a cheap and inferior product. However, those who have used this seem very happy with the results so it is well worth taking a closer look at if you want a wireless presentation system, but do not want to spend a ton of money on one. The Crestron AM-101 Video Conversion & Connectivity really took me by surprise and the more I read about it the more I realized that this is one of the best wireless presentation systems on the market. It does cost a little over a thousand bucks, but I do actually think that the asking price is more than fair in this case. To start with this is made with HD in mind. I know that not many presentations will need to use HD video, but if you want this then you can. Creston has made this as easy to use as possible. You connect it to your monitor or TV, actually, it allows connection up to four devices at once and all it needs is your Wi-Fi to do all of this. What makes this so great is that it is very versatile with what can connect to it. 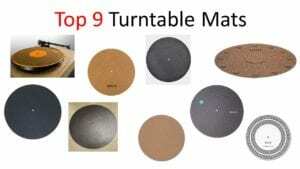 In my research, I have not found any kind of tablet, laptop, iOS device or Android device that this thing cannot connect to. This makes it something that would be great for any office or even a person who goes from office to office to do presentations as there are no worries about it not being able to connect to something. Tech YouTuber Upgrade has a review on this where you can get most of the specs. However, I felt that reading the real customer reviews on Amazon really show just how versatile and useful this device is. I have not really read much in the way of anything negative about the device. The only thing that has been brought up is the customer service that Crestron offer. I think that The Crestron AM-101 Video Conversion & Connectivity is a really neat device. I love how it is able to do HD and that there is no device it cannot connect to. I do question the customer service thing though as no one likes to deal with poor customer service. I think if you want a device that can do pretty much everything when it comes to a wireless presentation, this is the way to go. 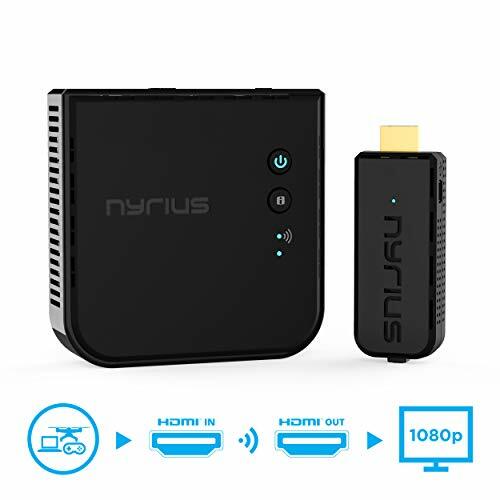 At 200 bucks the Nyrius ARIES Prime Wireless Video HDMI Transmitter & Receiver is one of the more affordable wireless presentation systems around. What is interesting about this one is that Nyrius is not actually selling this as just a wireless presentation system. As a matter of fact, they are more aiming it towards those that would want to beam Netflix or something like that to another screen. Do not be put off totally though as you could connect this to your computer or Android device and then you can do your presentation. It is very easy to do, you have one part that goes into the computer and then another that goes into the TV or monitor. It is not the most elegant of devices, however, it does work and it is very easy to use. I think for a person who needs something they can take on the road with them as they do presentations all over the place, this kind of device could come in handy. Also, it could be useful for around the house so that is something that goes in its favor too. On Amazon, there are over a thousand reviews for this product. The reviews are a bit of a mixed bag if I am honest. Those who have got it to work seem to love it There are many reviews that mention putting on presentations so that is good. One thing that did catch my attention though was people talking about how it has to be quite close in order to work well. Clearly, the Nyrius ARIES Prime Wireless Video HDMI Transmitter & Receiver is not one of the fanciest devices on the market, but it could still be worth taking a look at. It is rather basic, but that is reflected in its price so if you want to get something that will let you beam your presentation to a monitor or whatever this can do that. 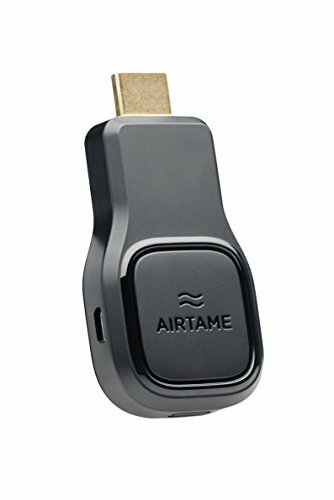 I know that at first glance the Airtame Wireless HDMI Display Adapter for Businesses & Education looks super basic, but this more budget-friendly device could be just what you need. This works with pretty much anything. We are talking laptops, MacBook’s, iPads and Android devices and so on. So no matter what device you have you will be able to use it with this. They have designed this to be as easy as possible and easy is the best way to describe this. The way that it works is that you plug the actual device into the TV or monitor that you want to use and then you download the app on your device. It then just uses your Wi-Fi to second screen what you want to do. Now, this does mean that just one person is going to be in charge of what is being presented, but this is all some people need so it is not a bad thing at all. It may seem a bit basic compared to some of the other wireless presentation systems that we have looked at. However, if you want something that is going to be easy to use and just stream onto a TV, projector, monitor or whatever you cannot go wrong with this. I found a good review from YouTuber OSReviews about this product. He makes the point that this is really aimed at those who do many presentations so that is good to hear. He does though call into question the lack of features of the device so that is interesting to hear. There are also many reviews on Amazon for this product and most of them are very positive. I think that the Airtame Wireless HDMI Display Adapter for Businesses & Education does have a place. Some folks may say that this seems like a more expensive version of Chromecast, but I do think it offers more than that and would be pretty handy for a business or a person who has to do a lot of presentations. What Is The Best Wireless Presentation System? Out of the ones that I have looked at today and judging by what people have said. 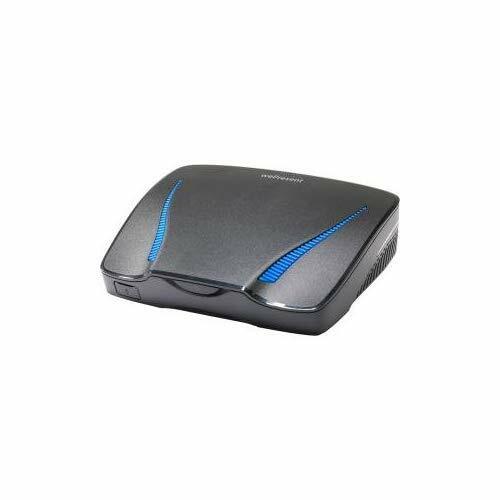 I would have to say that the MAIN-61771 Barco CSE-200 | Small Medium Size Meeting Room Wireless Presentation System is the best out of the bunch. It does have the highest price tag, but with that, you are getting the best wireless presentation system around that can do everything you would want it to do. There are some good budget priced options on here and something like the Airtame Wireless HDMI Display Adapter for Businesses & Education which is a couple hundred bucks is worth taking a closer look at.